"This rich moisturizing hand cream is for all skin types and frees your skin from artificial mineral oil so it can breathe freely. Rich ingredients like Sunflower Seed, Coconut, and Soybean Oils are packed with nourishing vitamins and antioxidants for truly healthier, softer skin, unlike Mineral Oil, which only hides dryness without healing it. The smell isn't too sweet, it's the perfect light scent of cookie and almond combined together in one delicious smell. I've used this everyday and it never leaves my purse. I really first thought when I tried this that it would just be so-so but I already plan on restocking as soon as my bottle gets low. So although I wouldn't call this a "review", I just had to share my absolute favorite product so far of 2014! 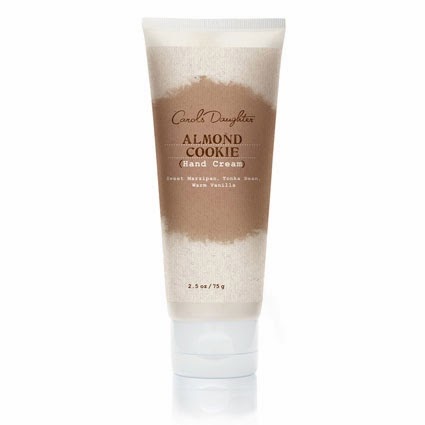 Carol's Daughter Almond Cookie is available on Carol's Daughter's website for $14. I highly recommend it!!! Disclosure: A press sample was sent to me for consideration for the purpose of this review. All opnions are my own. No monetary compensation was received. In 2006 Norwich Union, says:" Most young people can't get their heads round why their first motor fleet insurance premium should be 10 times greater than what they might pay for an old banger. I should check things out. I like what I see so now i am followong you. in epidermis injuries, frustrations, and health conditions by any where from 35Per-cent to 55Percent more rapidly therapeutic. Italian made folks be proud of their gold history and this is why they servicing conventional models and techniques. the internet viewers; thesy աill ցet benefut from it I am sure. most creation, so I had to build these items by myself. I will bokmark youjr blog and test once more right here frequently. this piece of writing as well as from our dialogue ade here.